It’s no secret that cloud computing is rapidly changing the way we work and play. In fact, this technology is moving so fast that it has outpaced the ability of our existing workforce to support it. This has resulted in an alarming shortage of employees to develop, implement and maintain these new cloud related products and services. According to an IDC White Paper sponsored by Microsoft, “IT hiring Managers report that the biggest reason they failed to fill an existing 1.7 million open cloud-related positions in 2012 is because job seekers lack the training and certification needed to work in a cloud-enabled world”. 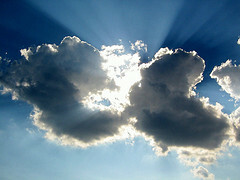 The same report forecasts that cloud related IT jobs will continue to grow by 26% annually through 2015. While this shortage may be creating challenges for many businesses and IT managers, it has certainly resulted in great career opportunities for employees and independent contractors. If you want to take advantage of this trend, it’s time to step up to the plate and upgrade your cloud computing skills! So which jobs are available? A really great slideshow with these job descriptions and credentials can be found here. 1. Assess your current position: While cloud computing is creating many new jobs, it is also responsible for the depletion of some existing IT jobs. For example, some employees involved in local help desk activities may find that their jobs are outsourced to the new SaaS provider. Local Systems Administrators may find that they now have fewer systems to administer! If you are in one of these positions, you may want to consider making a change sooner rather than later. 2. Do your homework. Check out the careers listed above and identify those that are a good fit with your skills and interests. Scan the job boards to get a feel for existing employment opportunities. Bone up on the technology and terminology. 3. Be proactive with your current employer. Because of the lack of trained personnel, many existing IT employees are migrating to cloud related activities in their current organizations. By necessity, these employees are basically learning cloud computing skills on the job. This is probably the easiest way for IT employees to get their foot into the cloud computing door. If possible, take advantage of opportunities to join cloud related project teams or move into cloud related positions with your current employer. 4. Education and Certification. Some of the jobs that are in highest demand are for individuals with skills associated with specific cloud related products and services. Most of the large software and service providers now offer excellent education and certification programs. Adding these certifications to your resume will almost certainly result in many hits on job boards. 5. Consider Relocating. Although cloud computing can impact almost any organization, it’s not surprising that the highest paying cloud positions are located in areas with thriving tech economies such as the Silicon Valley in Northern California. As with any job search, flexibility will improve your chances of landing that dream job. The cloud computing train has definitely left the station and is contributing to the rebound in the U.S. economy. Not only is it making large businesses more productive and helping small businesses to grow and compete, but it is also generating thousands of new jobs. With a little initiative and hard work, it’s likely that your job can be one of them! Thomas Parent blogs for Rackspace Hosting. Rackspace Hosting is the service leader in cloud computing, and a founder of OpenStack, an open source cloud operating system. The San Antonio-based company provides Fanatical Support to its customers and partners, across a portfolio of IT services, including Managed Hosting and Cloud Computing.